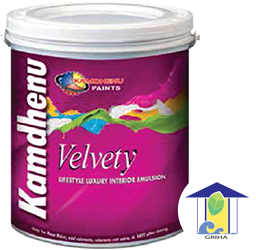 Velvety Luxury Interior Emulsion is water based, 100% acrylic, interior wall finish; it provides a silky sheen finish which lends a soft regal glow to the interiors of the room. 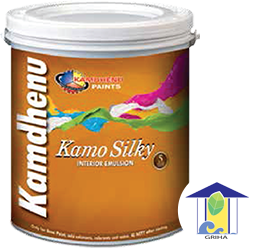 Its excellent flow makes sure that there is no brush mark on the wall after being painted. 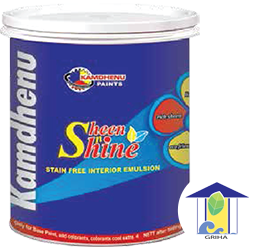 Sheen n Shine is specially formulated paint all special qualities altogether like Stain free, Rich Sheen, Very High Silky Smooth Finish, Low VOC for easy breathing, Lead Free, Eco-Friendly, Water Repellent Property and it is almost Low Odour Paint. 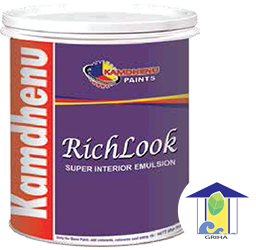 Richlook Interior Emulsion is made of acrylic latex with selected pigments & extenders that provides much sought after premium finish. 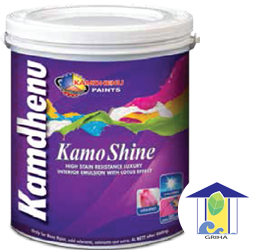 It is specially formulated interior emulsion which gives a durable and an eye pleasing finish.